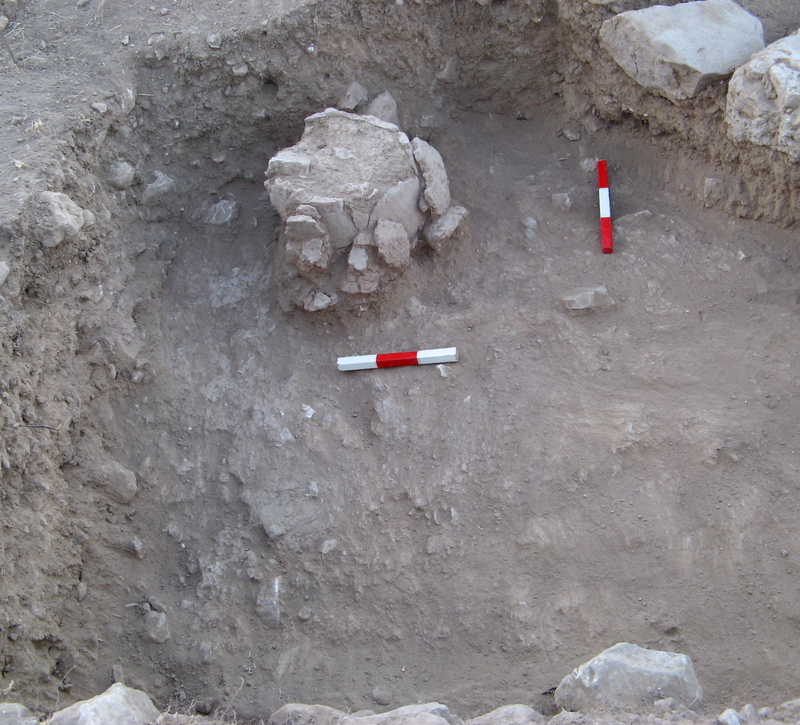 Recently the article The tabun and its misidentification in the archaeological record by Jennie Ebeling and M. Rogel was published in the journal Levant. It examines the current and past use of tabun bread ovens in the Levant. For a very brief description of a tabun, see my previous post. The authors start by discussing Gustaf Dalman’s description of a tabun in his wider account of bread making in the Levant, as he recorded it in the early 20th century. Dalman places bread ovens in seven broad categories, including tabun and tannur. The authors note that Dalman recognized the variety in the categories he described. In addition, the words used for different ovens in the Middle East were not uniform, so that a tannur-like oven in some areas was actually called a tabun. As is common in a widely-dispersed language group, there was a confusion of terms in the wider Arabic world. Ebeling and Rogel describe the construction, use and social location of tawabin (plural of tabun) in 20th century Levantine societies and up to the present time. Based on the literature and their own observations they show the variety and also very clear similarity in the form and use of tawabin. The authors investigate to what extent features that are sufficiently similar to modern tawabin have been found in the archaeological record. They conclude that according to the literature they reviewed, not a single oven similar to an ethnographically attested tabun can be identified in contexts earlier than the 7th century CE. There is also literary evidence from the 10th century CE. Ebeling and Rogel cite several modern studies that have looked in more detail at the characteristics of ovens. These studies generally confirm that ovens found in archaeological contexts are more similar to the tannur than the tabun. Gustaf Dalman already came to this conclusion. But nevertheless, the term tabun is quite commonly used to refer to bread ovens in archaeological parlance. Ebeling and Rogel investigate early excavation reports to try and find out why this is the case. 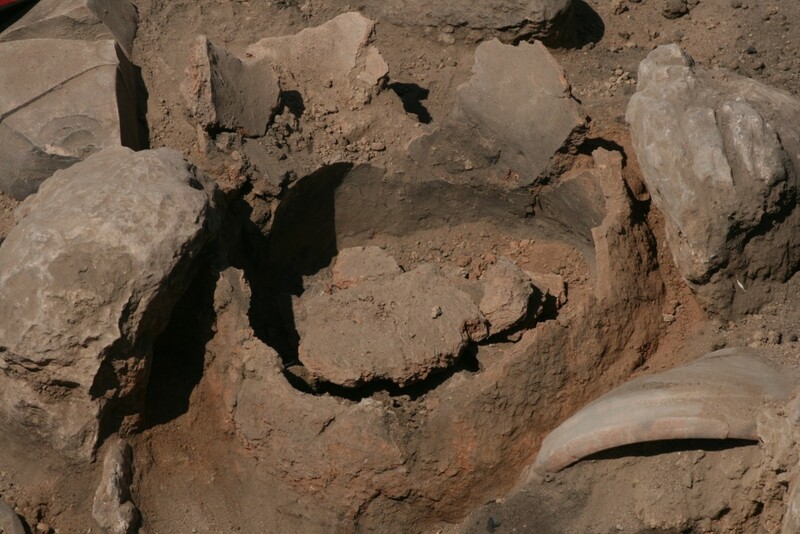 Early archaeologists used their own observations in the local villages to interpret archaeological finds and therefore also identified ovens, which they associated with the tabun or the tannur used in Palestine villages. However, their descriptions sound somewhat confusing when seen in the light of Dalman’s clear observation and later research. They seem to mix aspects of both tabun and tannur ovens and do not clearly articulate similarities and differences between the archaeological features uncovered and the ovens they observed in villages. But it is only later, approximately from the 1970s onward, that the term tabun became more commonly used and even the standard term for low-fired mud features excavated in the archaeological record. The authors were not fully able to trace this development, although they indicate that possibly the articles by Alison McQuitty, who investigated clay ovens in Jordan in the 1980s, played a role. Up to this point I can follow Ebeling and Rogel and think that they provided a valuable description of the tabun. In particular, they also have pointed out its apparent misidentification in the archaeological record. I will make a few suggestions about these topics below. However, I first want to discuss the conclusion of the authors, with which I cannot agree. They suggest that the work of archaeologists is to examine these “thermal features” in more detail and build a detailed typology. Despite their criticism of ethnographic comparisons, they suggest that the classic studies of traditional life in the Middle East continue to provide useful information and inspiration. I think that the author’s conclusion indicates an inadequate appreciation of the role of analogy, especially ethnographic analogy, in archaeology. I do say that, because the use of analogy has been a major topic in my own archaeological research. The authors may just have a different approach to archaeology from the one I am advocating. Knowledge of objects comes from analogy, from making comparisons between the known and the phenomena to be explained. We need to be aware of the differences between past and modern lives, at the same time evaluating similarities. We cannot escape analogy in our effort to know things. We can only understand the unknown in terms of the known. There are similarities and differences. Analogy can take into account these similarities and differences. For us modern Westerners, we can make better analogies with the past if we have knowledge of other societies that in some respects have lifeways that are similar to those of the people who have left behind the archaeological remains. In other words, ethnographic analogy is essential to understanding the use of ancient artefacts and inferring behaviour associated with them. This does not equate the objects or suggests that people interacted around them exactly the same 3000 years ago as they did in traditional Levantine societies in the 20th century. Similarities and differences have to be noted. The early excavators did the right thing in turning to the village life of Palestinian peasants in their interpretation of archaeological features. It would have been a lot more difficult to find analogs in the English towns they came from. But they committed the error in not noting in sufficient detail the similarities and differences, equating (instead of comparing) ovens found in excavations with those seen in the villages. Their ethnographic analogy was sloppy. But the abuses of ethnographic analogy should not make us dismiss the method altogether. Let me explain it like that. If we had not observed a tabun or a tannur in later societies, would we have known that these were thermal features? Yes, they have been heated (but even to find that out we require analogical reasoning), but for what purpose? All we could then say is that we have round mud-domes, which regularly had been internally heated. We may speculate that they may have been used for grain storage with regular internal heating to combat vermin and insects. Or they may have been used for cultic purposes. But we do have good ethnographic analogies. We can say something about the function and do not have to engage in speculation. We can make inferences. With the term “thermal feature” the authors probably want to introduce a scientific objectivism, which is just not actually present. For their inferences have been influenced by the ethnographic accounts they know. In other words, they seem to want to hide and dismiss the analogical connections they make, rather than making them explicit. Abstractions may sound scientific, but they often hide our true approach to knowledge, which is mostly far more actual. If the authors’ intent is to just arrive at a typology of “thermal features” without trying to understand their actual use, this approach is understandable, but in my opinion not valuable. Analogies are not typologies. In scientific thought objects often have clear definitions, so that objects either fit into the class or not. But people generally refer to a somewhat vague centre of meaning without clear boundaries when recognizing objects. We know what a bowl is, but at the limits it may be difficult to judge whether a certain object is a bowl or something else. Similarly, Dalman – and the authors in this article – give us sufficient information to determine what a tabun is, not by defining certain limits, but rather by pointing to some characteristics, which allow us to identify tawabin in all their variability. If we had no modern ethnographic examples of a tannur, but only of a tabun, such a tabun would be a valuable source of analogy. We could understand that bread was baked in that feature; we may infer that it was mainly women’s work. But we may make some incorrect conclusions about baking technique. Still, it would allow a tentative reconstruction of ancient lives. Of course, we would have to make clear the very real differences between tawabin now and those archaeologically recovered. Since we have examples of tannurim in the ethnographic record, they do provide the best form of analogy for many of those ancient features. We have to recognise the very real differences between a tannur from an archaeological context and one used in 20th century Palestine. They are different and would not have been used exactly in the same way, but there are similarities. Ebeling and Rogel implicitly recognize the importance of ethnographic analogy. They regularly refer to baking as a woman’s task. Where would they know that from, if not from ethnography (along with some textual indication)? From universal laws that women always prepare the food? That would be even less responsive to the evidence and more diminishing of the ingenuity of women through the ages. While women at the well and baking bread may indeed be favourite images of Biblical times, they nevertheless provide a window into the world for us modern people who live in quite different circumstances. There may be something to the cliche. I would advocate calling the archaeological feature tannur, if it is sufficiently similar, because that is the best analogy we have. We have to be clear that they are not the same. Similarly, “oven” would be a good term, but we must recognize that they were quite different from the ovens we use, even the wood-fired pizza oven. I am not so keen on the generic term tabun, because most of the ovens in the archaeological record are indeed more similar to a tannur. Nor am I keen on “thermal feature” because it is very unspecific and hides the analogy we are making. I think that the sloppy analogy with tawabin was exactly because most archaeologists did not make methodical analogies, but rather relied on a quick judgment that they know these ovens from the nearby village. Rather than faulting Gustaf Dalman for his rigid categorization, it is exactly because most archaeologists did not carefully read ethnographies, especially that of Dalman (maybe because he wrote in German and not in English), that these sloppy comparisons were made. Rather than dismissing careful ethnographic analogy, we should work to provide as much information as we can to draw good inferences of archaeological materials. In some cases that may lead us to recognize the very real difference between past and present. It is to the credit of the authors that after their in-depth ethnographic research, they nevertheless concluded that the technology attested to in archaeological excavations is quite different from the one they recorded. They did not insist on the immediate relevance of their research to understand the past. But it is still valuable for understanding the past. I think that it will allow us to draw better analogies, but not in a simplistic manner. And if you want to know about tawabin, this is one of the best articles to go to. This entry was posted in Archaeology, Discussion, excavations, Gustaf Dalman, Household Archaeology, Scholarly articles and tagged Ancient Israel, Ancient Judah, Biblical Archaeology, Customs, ethnography, Gustaf Dalman, Palestine. Bookmark the permalink.